One thing we’ve always loved in ACCEPT, is their mind-blowing riff delivery. No matter how many changes they’ve been through, the stainless steel riffage keeps on giving for nearly 3 decades. With their co-headlining gig with SABATON only a few days away, Metalpaths dug deep into their discography and picked their best riff per record, according to the writer. First record, first song still in the 70’s, and Accept show that there’s something familiar, along with something new. A riff sharpness, unheard of, bring something of their own right off the bat. While still in their transitional phase from 70’s rock to full-on metal, they spawned some killer songs on this album. Criminally overlooked record, with this one winning its place thanks to its killer intro riff, a sign of things to come from this then young band called Accept. First full-on metal record for Accept, and this is one of the best riffs on this album: intricate, sharp and perfect for headbanging. 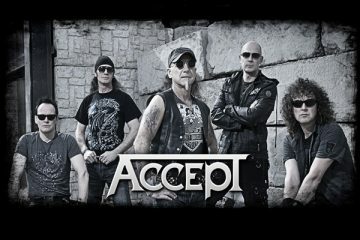 It’s no wonder that Accept would be one of the most influential bands for the development of thrash metal later in the 80’s. I love the songs’ chorus as well, but the riff, is simply addictive. Heidi singing her song and then….razor-sharp riffage cuts right through the skies. The year is 1982. Who made this kind of riff? What does this classify as? Definitely not classic heavy metal. then what? 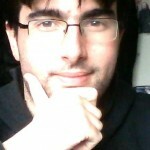 The answer to those questions is plain and simple: “speed metal” and later on “thrash metal”. 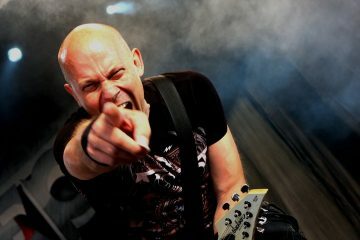 Accept had just created the blue print for speed/thrash bands to destroy our necks to for the next thousand generations. Beautiful production, stellar and heavy, and when THAT riff kicks in, blending the classic heavy metal feel with the melancholy of the song’s lyrics about lost love, you can’t help but start headbanging with hair standing on the back of your neck. Period. I was torn between some crushing riffs off “Metal Heart”. But this one stole my heart first time I listened to it. This is a 100% alcohol-fueled-stainless steel metal riff, that goes into your head and never leaves. Continuing from where the hit-filled “Metal Heart” left off, “Russian Roulette” gives us a bunch of trademark Accept tracks on Udo’s final album before the 90’s comeback. One of them begins with such a riff, that shows the musical intelligence of Herr Wolf Hoffman! It seems that not many Accept fans speak of this album. Well, the mainstream turn of the band along with the lack of Udo behind the mic, had some part in it. But, who cares, the riff-machine’s still rolling, spewing out riffs like the fast riff of this one! The Udo comeback in the 90’s came with a punishing record, and one of the hidden diamonds is this timeless metal classic. That chorus riff, rightfully earned its place giving us another reason to scream our heads off to Accept. As we dive deeper into the 90’s era of Accept, we got into their more modern and groovier works with Udo. And the main riff of the title track is a perfect indicator of just that. 90’s heaviness to the max without sacrificing the bands character. Speaking of modern, this is probably as modern as Accept can actually go (considering this is 1996). Groovy, relentless riffage made for headbanging and 100% heavy metal. A prime example of this is the intro riff of this track! Mark Tornillo’s debut album. What a debut that was! The intro riff, showing us that after all those years, not only that Accept still have it in them, but also that they can write modern classics. Delivering the Teutonic terror, they shall give us the axe! We couldn’t help ourselves but include this long epic about Stalingrad, apart from its heavy-as-heavy-can-go riff in the beginning, it contains melody from the Russian/Soviet national anthem. The Teutonic stampede comes our way with a trademark fast Accept riff, meant to make some heads roll, almost 30 years after their inception. Need we say more? There are too many riffs to pick from when it comes to the Teutonic legends. Now we just can’t wait for the two gigs in Athens and Thessaloniki to make our heads roll for one more time to the sound of their heavy metal assault!